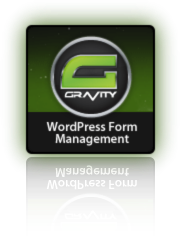 Cforms II is a wordpress plugin very popular and widely used amongst the community of wordpress bloggers – it allows people like myself to generate blog contact forms with ease and without crunching a line of code. A quick check to make sure the mail server wasn’t on any SPAM list and some analysis lead straight to the cforms plugin: Emails send via this plugin has a positive match at SPAM control – I had proof of this when I monitored a blog and sent copy of the message to my Gmail. It was going to my SPAM folder. But in other cases these Emails would simply disappear. No need to comment on that. It’s not free but well worth the cost, easy to configure with powerful optional control over all fields and statistics. yes I tried may times using Word Press for my blog post but i haven’t tried this one. I can fully give my story if I use this one. Itâ€™s one of the best plugin for WordPress, well appreciated by users all over the world (check out reviews and ratings). I certainly understand the reasons why the developer of Cforms want to take credit for his hard and brilliant work but the fact remain. If he wants to keep on playing with all the other kids in the sandboxâ€¦ errrrâ€¦ on the WordPress.org site, then he needs to adhere to the rules like every one else.